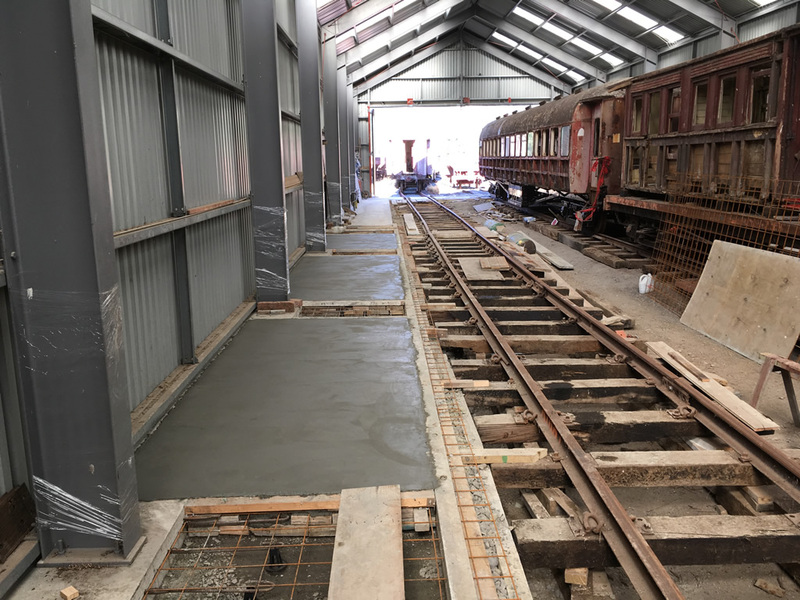 Back filling inside the rail vehicle shed in October 2018, compacting sub-grade for concrete floors. 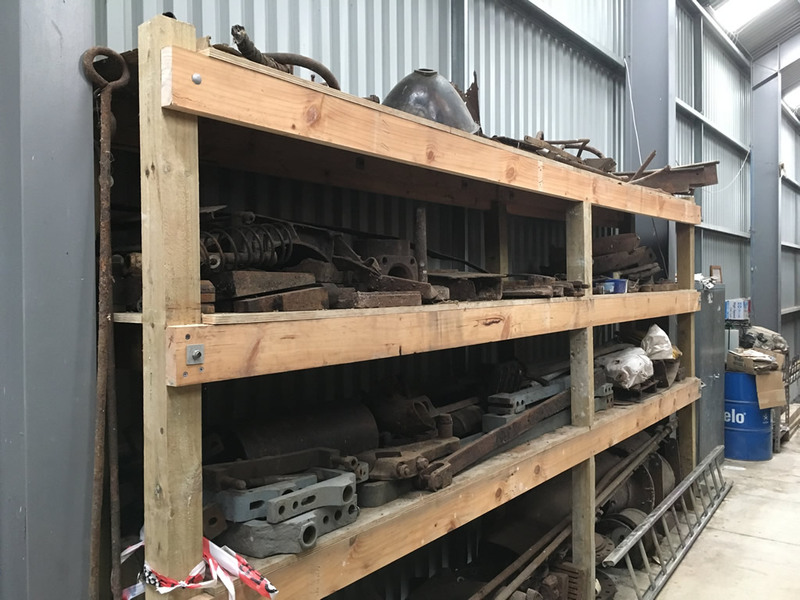 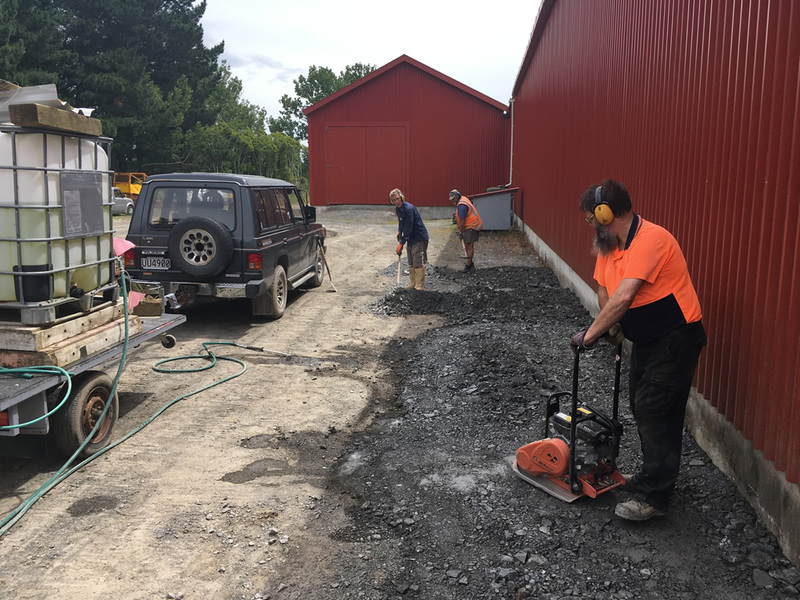 Around ten cubic metres of hard fill was needed to prepare the south side of the shed for concrete floors. 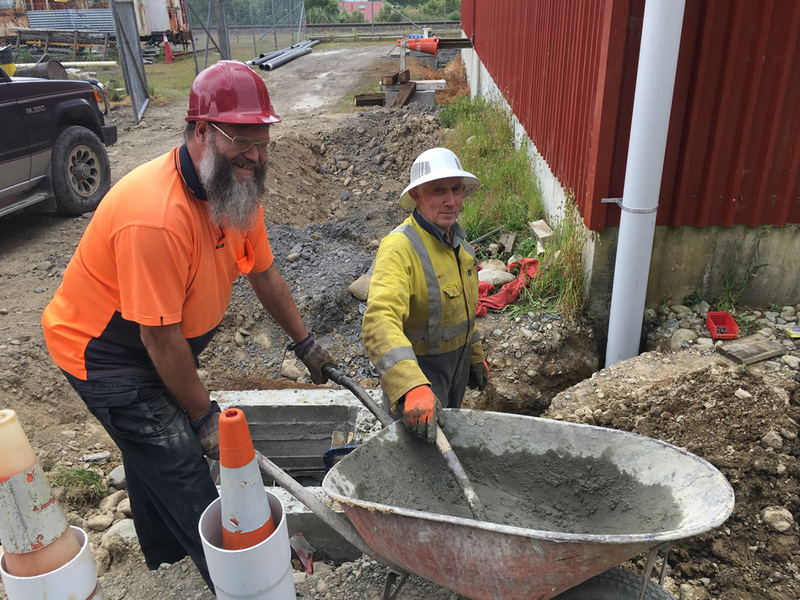 We hired an excavator to sort and load the fill, working over three days in October. 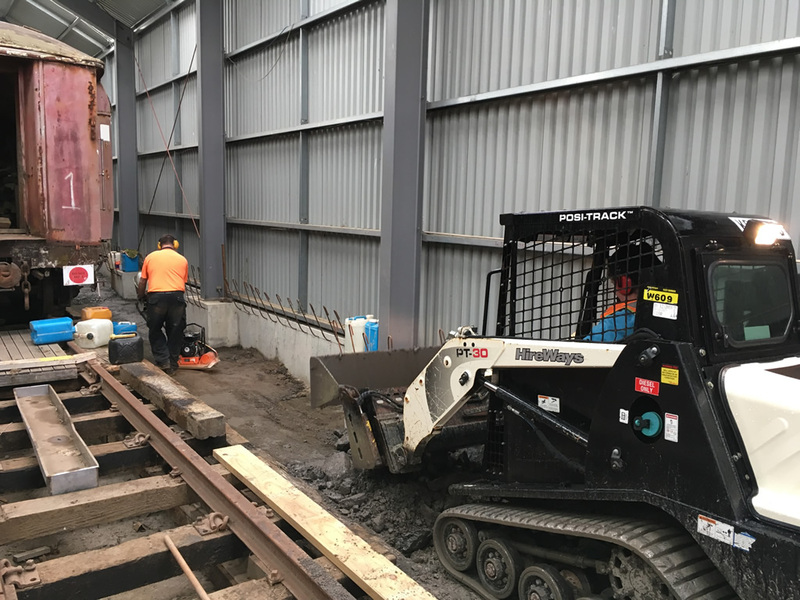 Placing reinforcing mesh and formwork along the south side of the shed. 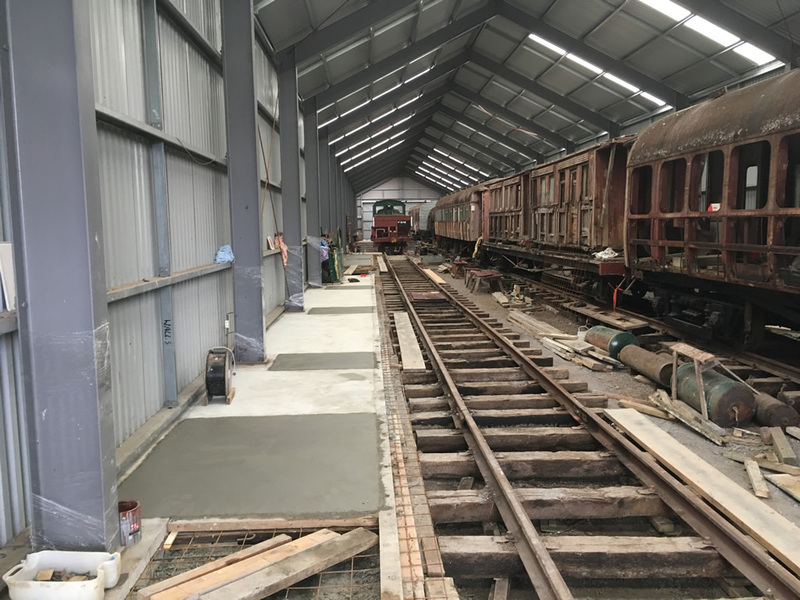 A first batch of floor slabs were placed on both sides of the shed in late October. 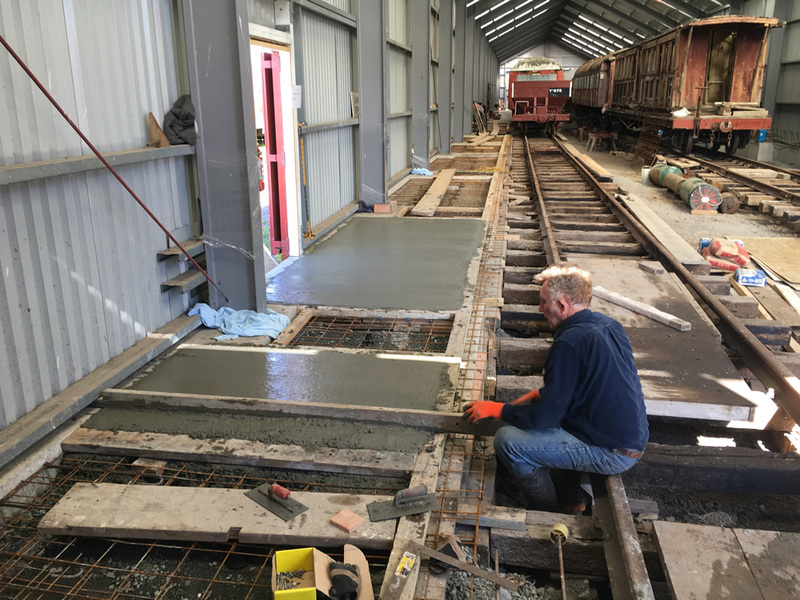 Second batch of floor slabs, spotted between those laid the previous weekend. 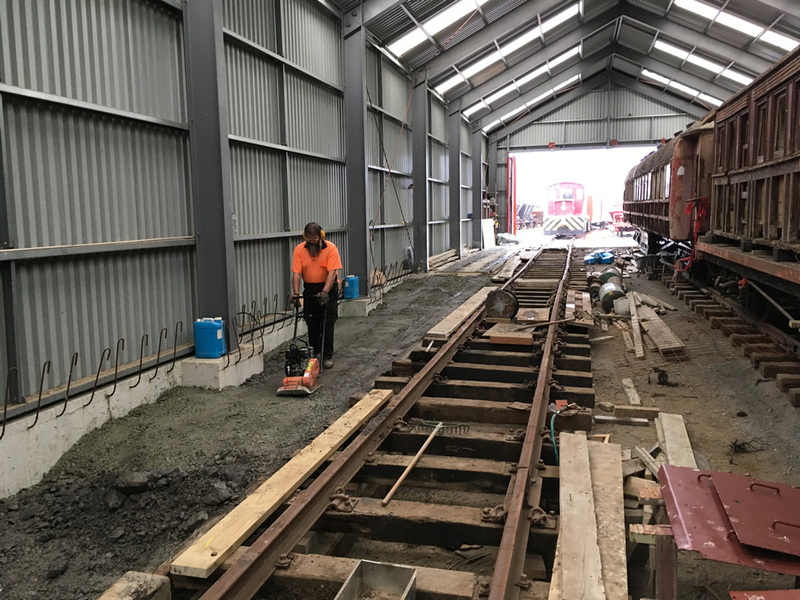 In late November we hired a tracked loader to bring hard fill in to the north side of shed. 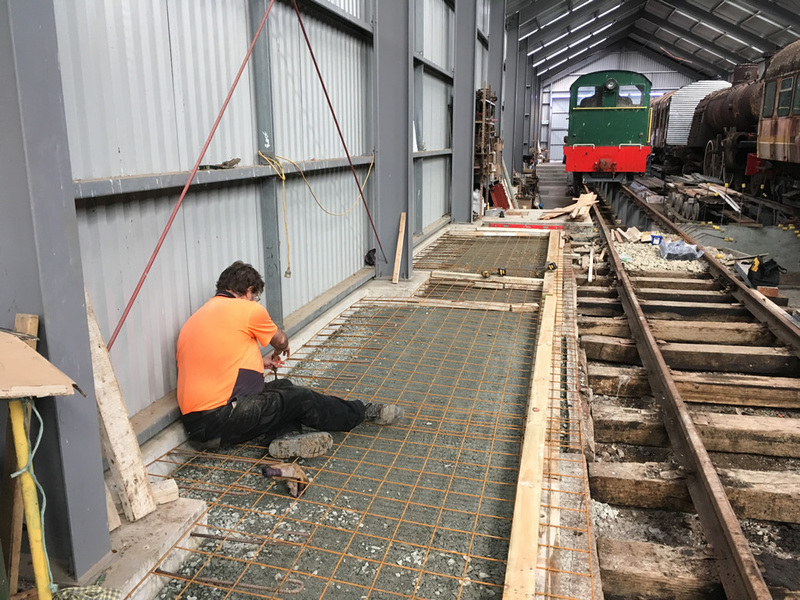 Compacting fill into place, north side of shed. 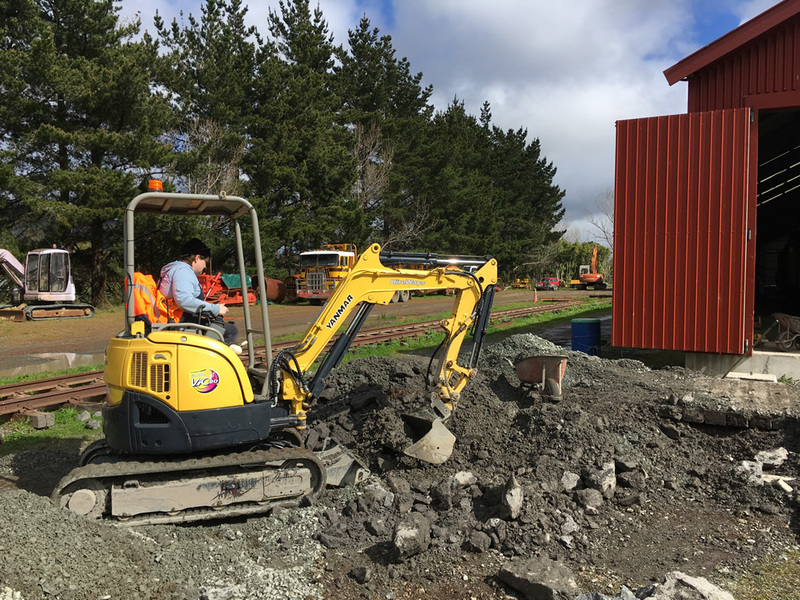 Other progress around the railway - backfilling foundations along the south side of the shed, leveling the ground for access equipment. 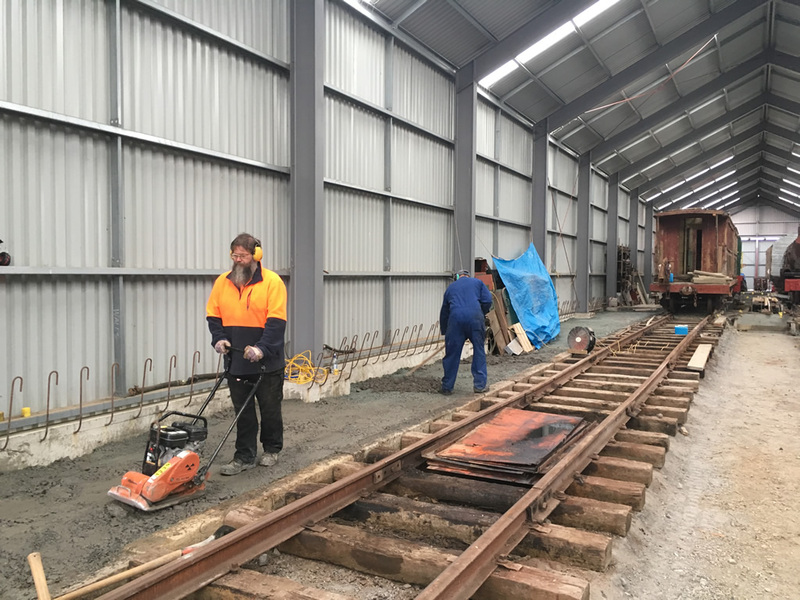 Ray and Bruce working on the storm water system for the rail vehicle shed, one of a few tasks left to complete the shed.